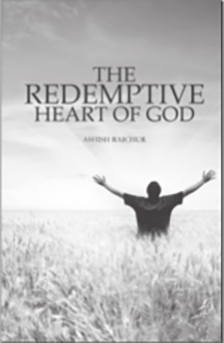 God's heart is redemptive in nature. God never quits on what He starts. He loves and saves to the uttermost no matter what the cost. God always seeks to redeem and bring things back to Himself. We are called to be like Him, and hence our approach to life situations and to the problems we face must be redemptive as well. In this study our goal is to understand and capture the redemptive heart of God, so that we will learn to view life's situations with His redemptive eyes and also learn to be co-workers with God in His redemptive process for things in our own lives as well as those around us. God's redemptive process involves key elements of TIME, SACRIFICE, FORGIVENESS and RESTORATION. We must work with God, recognizing and following each element of His redemptive process, as He works to redeem things in our lives, as well as when we co-labor with Him to see His redemptive work take place in other peoples lives. What is it that you want God to redeem in your life? God is your Redeemer. Nothing is beyond His ability to redeem. You can look to Him in faith, no matter what your circumstances are and experience His redemptive work. This book will help you do this.